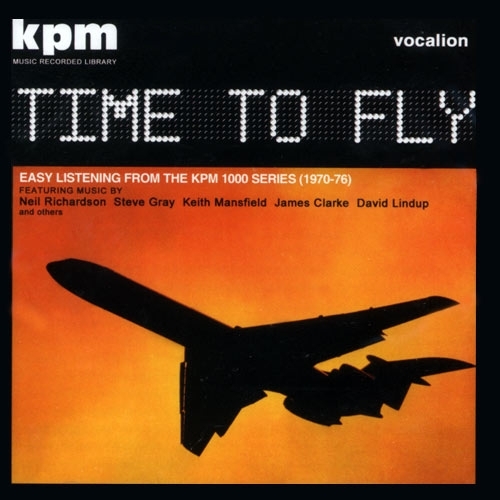 Time To Fly - Easy Listening From The KPM 1000 Series (1970-76) - featuring music by Neil Richardson, Steve Gray, Keith Mansfield, James Clarke, David Lindup and others. This wonderful compilation comprises twenty-eight tracks from the legendary KPM 1000 Series of library music, recorded during the golden era of 1970-76. 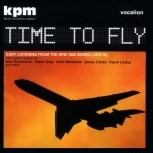 Whereas Vocalion’s previous KPM compilations have focused on the company’s funky output, this one concentrates on the beautiful, relaxed easy listening grooves that composers such as Keith Mansfield, Steve Gray, James Clarke and Neil Richardson wrote for KPM. 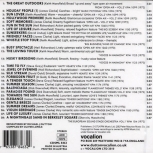 There are the luxurious, ’70s sounds of Keith Mansfield’s "Husky Birdsong", "Life of Leisure", "Whistle Stop Tour", "The Great Outdoors", "Hollywood Premiere" and James Clarke’s gorgeous "Friendly Faces", "Life of Luxury", "Summer Season" and "Holiday People (1)", plus much more besides. 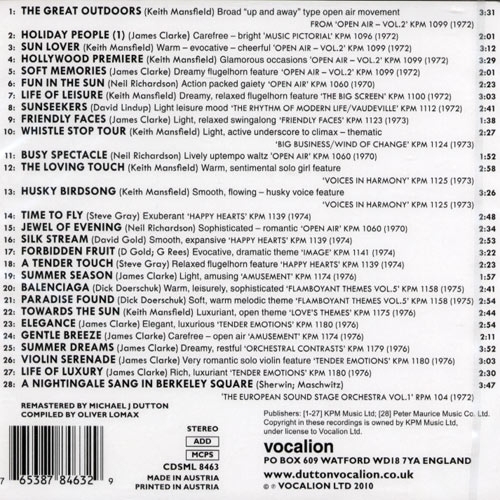 Twenty-seven of the twenty-eight tracks are on CD for the very first time, each clearly demonstrating why KPM was – and still is – the world’s leading library music company. The accompanying booklet contains fascinating liner notes as well as a photo of one of the original 1970s KPM recording sessions.